Skatebård (you can call him Skateboard) is another fascinating member of the remarkable Bergen (Norway) music scene; yes the same magical home of Sondre Lerche, Kings Of Convenience, Röyksopp and Annie. This offbeat lad began his adventure in music upon the release of his 2002 debut Skateboarding Was A Crime (in 1989) on the legendary Tellektro imprint, electro sublabel of Tellé Records. Skatebård conjured a blend of retro-electro, techno and even instrumental hip-hop that made a massive mark on the dance community. Not one to seek fame and recognition, Skatebård opted to keep a low profile from the start, but his success has kept him in the spotlight for the past few years. 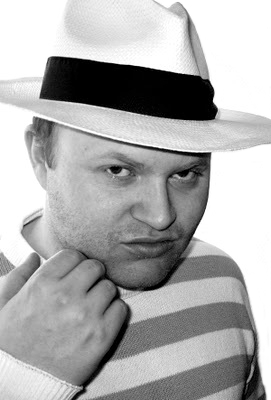 Skatebård’s discography includes his debut album Skateboarding was a Crime (in 1989) released on Tellektro in 2002, Midnight Magic and Cosmos, both released on Kompakt in 2006 and 2008 respectively.